Like that quest to find Dandelion in which you have to read through the icky exploits in his diary, the latest Witcher 3 patch is very wordy indeed. There’s a nearly-exhaustive, 13-page PDF kicking about for those with the patience to peruse it. For the rest of us, CD Projekt have sort-of-summarised the highlights. Done with Dandelion and co.? Here’s a list of the best PC RPGs of all time. In total there are around 600 changes here. Momot references fixes for a log-full of quests, plus new conversations with major characters that will “enhance your relationships with them as well as the story as a whole”. There are PC-specific optimisations, and over 150 stability improvements. But perhaps the most far-reaching fix is a re-ordering of items in the inventory. We’ll be able to see the implications of that for ourselves when the patch lands shortly. It’ll fall somewhere between six and 15 GB. So, big. 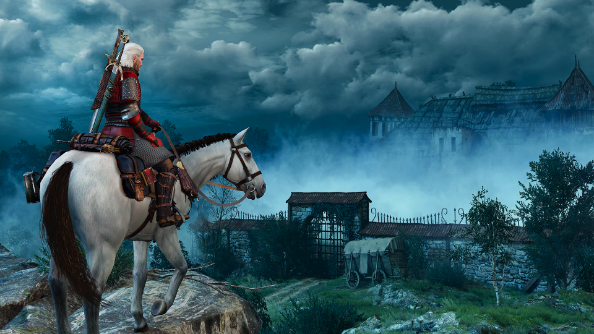 The Witcher 3’s Hearts of Stone expansion is out on Tuesday, and I am so not ready for it, having barely breached the gates of Novigrad. Where abouts are you in the North?